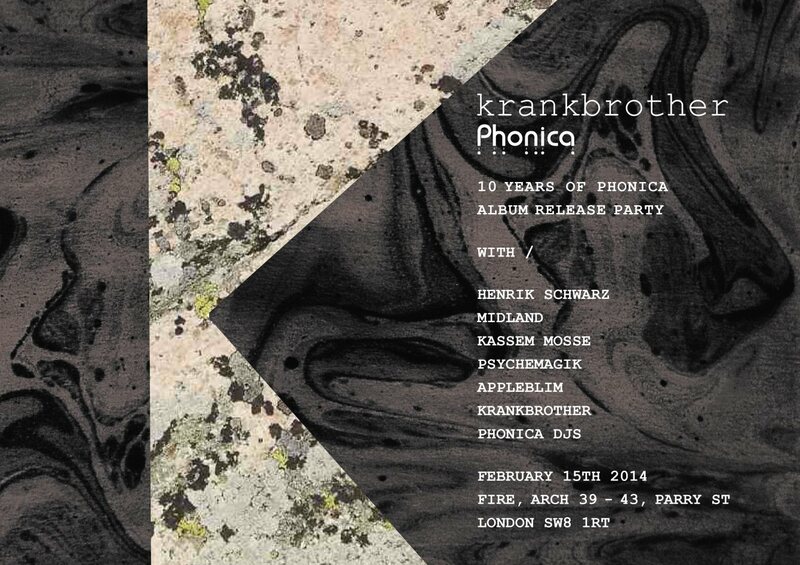 One of the most well-known record stores in London town, Phonica Records, is turning ten years old this year and what better way to celebrate than team up with hot shot promoters Krankbrother to host an unmissable party. Not only are the brothers Krank and Phonica DJs stepping behind the decks, but they’ve also commandeered a spectacularly good line-up to join proceedings in the atmospheric arches of London’s Fire. Kasseem Mosse will be bringing a live show to Room 2, joined by Bristol-based Appleblim and funk aficionados Psychemagik. Heavyweight headliner Henrik Schwarz will be taking over Room 1, with support from the excellent Midland. It just so happens these mighty DJs all feature on the celebratory compilation CD marking a decade of Phonica. This is expected to hit the shelves on 17th February – pre-order your copy here. It’s a ridiculously good line-up to mark a brilliant milestone. Come celebrate and bag your tickets now.